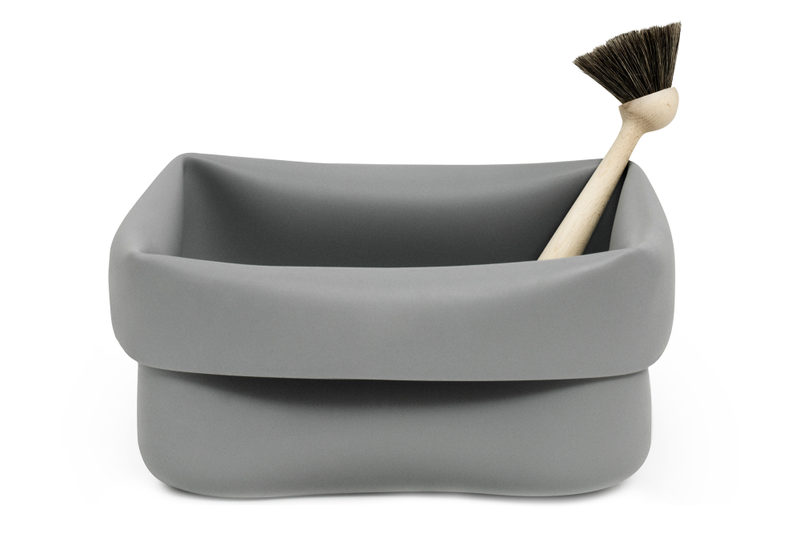 Washing-up Bowl is an innovative and flexible piece of kitchen equipment that breaks up the boredom of everyday routines. Normann Copenhagen is now launching the Washing-up Bowl in an inviting mint color that oozes simplicity, cleanliness and Scandinavian elegance. The distinguished mint is drawn from delicate mineral colors and complements both cool and warm, deep colors in the kitchen. “Ideas and materials are closely related. The idea takes its form only when working with the material. I only trust a particular form when I have touched it with my fingers. I am able to communicate with the manufacturer as well as the end user through the particular object, and I see myself as a fertile minimalist. Everything counts. Neither more nor less! I aim at finding the uniqueness in the simple design and vice versa. Every single day brings new design challenges which I would like to take up”.